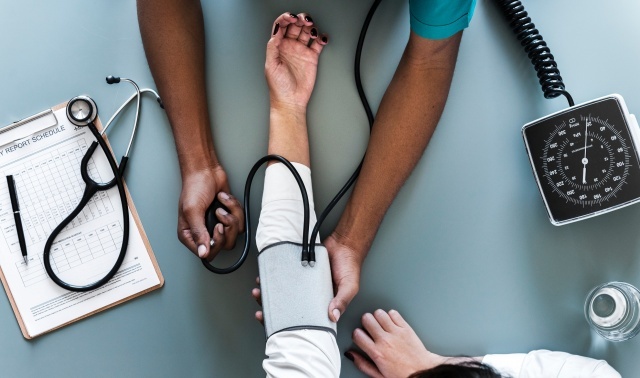 Among people being treated for hypertension (high blood pressure), those with gum disease had average blood pressure readings 2 to 3 mmHg (milligrams of mercury) higher than those without gum disease and were less likely to have their pressure under control with medication. “Recent literature suggests that poor oral health is associated with several highly prevalent conditions, such as cardiovascular diseases, diabetes, stroke, and obesity, and that it is related with increased mortality,” Dr. Davide Pietropaoli from the San Salvatore Hospital, University of L’Aquila, in Italy told Reuters Health. The researchers analyzed data from the annual U.S. National Health and Nutrition Examination Survey between 2009 and 2014 on adults over age 30 with hypertension who underwent a dental exam, including 3,626 who said they were currently taking medication to control high blood pressure and 460 who said they were not. Based on the dental exams, about 52 percent of participants had periodontal disease, a chronic inflammation of the tissue around the roots of teeth, which has also been linked to higher inflammation throughout the body, the researchers note in the journal Hypertension. Average systolic blood pressure – the pressure exerted on blood vessel walls when the heart pumps, and typically the first number in a blood pressure reading – increased progressively from mild to moderate to severe periodontal disease, researchers found. Overall, people with hypertension and periodontal disease were 20 percent more likely than those without gum disease to have their hypertension uncontrolled with medication. In addition, blood pressure control was worse in patients with periodontal disease across all age ranges. Among hypertensive patients not taking blood pressure medications, systolic blood pressure averaged 2.8 to 7.6 mmHg higher in the presence of periodontitis, although periodontal disease did not seem to increase their risk of having blood pressure above 130/80 mmHg (the threshold for treatment). The researchers also suggest that periodontal therapy, together with lifestyle measures (exercise, healthy diet, and so on), could help to lower blood pressure and possibly limit the need for high blood pressure medications.